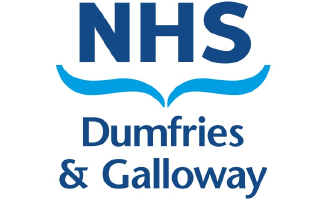 A commitment to supporting the armed forces has been undertaken by NHS Dumfries and Galloway. The organisation has now signed an agreement, or covenant, as part of the first steps towards formalising its support. And on Monday, senior armed forces representatives attended a meeting of the NHS Board at Dumfries and Galloway Royal Infirmary to present the signed covenant which officially marks the new relationship. NHS Dumfries and Galloway Chairman Nick Morris said: “We were delighted to welcome Major Bob Stewart from B Company Dumfries Detachment, 6 Scots OC, and Regional Employer Engagement Director Mr Charlie Cook on Monday, and to take receipt of the completed covenant. “As an organisation which already employs a number of armed forces veterans as well as active reservists, we are determined to build on that relationship and go beyond the commitment already established with the covenant.”The ERS is a three-tiered bronze, silver and gold award scheme which recognises the different levels of commitment provided by employers. This allows the Ministry of Defence to publicly thank and honour those organisations for their support.Employers have previously won awards for initiatives such as employing veterans, supporting individuals transitioning out of the armed forces into a new career, and providing flexibility for reservists.Charlie Cook is Regional Employer Engagement Director at Lowland Reserve Forces and Cadets Association, and he said: “We are delighted that NHS Dumfries and Galloway has become the latest employer to show its support for the armed forces by signing the Armed Forces Covenant. “The armed forces and the health service have always enjoyed a close working relationship. Pioneering clinical techniques in emergency medicine and trauma developed and perfected on the battlefield have been adopted by the NHS. Many NHS staff volunteer as reservists within medical and infantry units, developing command, leadership and management skills which are useful in their civilian careers.